THE SHAMANIC JOURNEY is a powerful technique used by shamans and shamanic practitioners worldwide. Music  often drumming  is a favorite vehicle for the journey, helping to focus the mind and invite the spirit body into the non-ordinary reality. Music created with entertainment in mind rarely meets the needs of the shamanic journey. While most music seeks to hold the listener's attention and actively engage the senses, shamanic journeying music must create a seamless and transparent weave of experience which propels the shaman into a transformational state of consciousness. The Shamanic Music Store carries a hand-picked selection of recordings, each of which has been reviewed by teachers of shamanism and certified as effective music for journeying. Look to us as the source for all of your shamanic music needs! Animal-Speak provides techniques for recognizing and interpreting the signs and omens of nature. 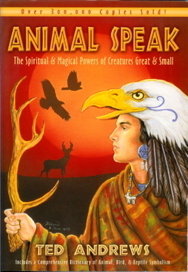 This catalog of hundreds of animals, covering their natural traits and spirit lore, is an invaluable reference for shamanic practitioners. The late Ted Andrews was an award-winning author and deeply respected teacher in the metaphysical and spiritual fields. Through his seminars, symposiums, workshops, and lectures, he was committed to making esoteric material comprehensible and practical for everyone. Best known for his work with animal mysticism, Ted also held state and federal permits to work with birds of pray, and worked in wildlife resuce and rehabilitation at the Brukner Nature Center in Troy, Ohio. www.bruknernaturecenter.com/). READ MORE ABOUT SHAMANISM at our Essential Shamanism Bookstore  recommended books for shamans everywhere. Peacemagic Shamanic expertly blends hand-played percussion, layered synthesizers, ethereal vocals, and other distinctive sounds to create unique soundscapes for shamanic journeying and trancework. The long-form tracks are perfect for uninterrupted trance sessions. GET YOURSELF SOME SHAMANIC JOURNEYING MUSIC. There are many ways to journey, many paths to the non-ordinary reality, and our artists have created shamanic music in a wide range of styles and moods. Start by clicking any of the names below, and listen to samples until you find the right music to inspire your spiritual travels. AISLING WILLOW GREY Spirit Ensembles for Shamanic Journeying is a series of journeying soundscapes, intended to fulfill the needs of modern shamanic practitioners accustomed to the layered sounds of symphonic, ambient, and rock music. This series attempts to provide a rich palette that is uniquely suitable for inducing the trance required to enter the journey state. THE FOUNDATION FOR SHAMANIC STUDIES The Foundation for Shamanic Studies was founded by internationally renowned anthropologist Michael Harner in 1985, to preserve, study, and transmit shamanic knowledge worldwide. Each one of the Foundation's Shamanic Journey Series CDs has been specifically designed for serious journey work as described in Harner's classic work The Way of the Shaman. PEACEMAGIC SHAMANIC Peacemagic Shamanic's soundscapes combine driving rhythm with richly layered instruments and ethereal vocals, creating a compelling soundtrack for your shamanic journey or trancework. Their pieces are designed to guide you into a trance state, hold the space for an extended period of time (each piece runs at least 20 minutes), and gently bring you back. This duo draws on their many years of experience as musical artists and shamanic teachers to create appealing music with depth and power. GEO ATHENA TREVARTHEN The journeying recordings of Geo Athena Trevarthen feature Celtic instruments and chanting in Celtic languages, both ancient and modern. Geo Trevarthen carries a family tradition from the Irish and Scots Celts focused on manifesting God, the Mother, Father and Creator's will on earth through shamanic practice. BYRON METCALF Byron Metcalf has been experimenting with the use of drums, percussion, and other sounds to induce non-ordinary (altered) states of consciousness in both ceremonial and therapeutic contexts. 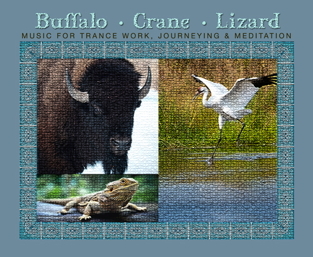 Byron's shamanic recordings have received enthusiastic reviews in the shamanic, trance dance, and therapeutic communities. ANUGAMA Anugama is a gifted multi-instrumentalist whose music covers a wide spectrum of expression. His shamanistic music of power and peace lets the listener explore their own inner expansion and stillness. His special strength lies in the exceptional feeling, sensitivity and skill which pervade his compelling and alive rhythms that are the heart of his music. Anugama's music creates an environment of uplifting support, confirmation and nourishment for heart and soul.